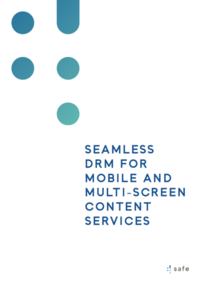 In this document, Inside leverages its experience in developing DRM solutions to identify common problems in designing DRM content services and how to avoid them. The intended audience of this document is content owners or distributors who are deploying a content service using DRM. For the sake of brevity, only the term content distributor is used in the rest of the document. It is assumed that readers are familiar with basic DRM concepts and terminology like usage rights and licenses, but not with the details of specific DRM technologies.